I just started looking to possibly purchase a new FZ-07. I've been riding for many years ..... As recent as 5 years ago I was riding year round, I didn't even own a car or truck! I rode a bike all spring , summer , and fall then rode my sidecar rig all winter. Then about 2 years ago I started getting a pain in my left leg ... all the time. A quick trip to the Dr. he manipulated my legs .... by the time I rode 10 mins home I could barely get in the house and spent the next 10 days in bed , I mean in bed or on my knees beside it. I had with the help of the Dr. crushed my sciatic nerve! My riding was done , over , kaput ! I think the mental damage from quitting cold turkey was a much worse pain than the pain I felt in my leg! Fast forward 2 years to today , feeling much better........ ready to ride again ( I think). I had been looking at a NC700x , then stumbled across this FZ-07 thing.......... some more research to do but its a great looking bike. Hoping this may work ot , if so and I upgrade in a year or 2 my wife will prolly start running the FZ. Welcome gr8lite! Maine is a beautiful state. That's too bad about your leg. I hope you're well enough to ride and good luck with whatever you choose. Hi @gr8lite, thanks for joining. Great to have you here. Sorry to hear about your leg. What a bummer. FZ07's are great to get back into the groove. Not only are they nice and light, that also grows with you if you know what I mean. If you take it easy, so will the bike, but it has a lot of potential too if you want. Thanks for joining us! I grew up in Gardiner, left Maine in 87 but I miss it, just not the winters! 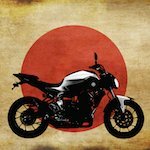 Come back and show us some pics of that new FZ-07!